Game design student, indie game enthusiast and self confessed audiophile, Dragoș forms the ear to the ground of the Game Anglia conference organising team. 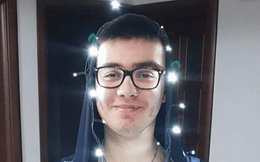 Beginning his story as a volunteer with the Game Anglia team at the 2017 conference, Dragoș now helps curate the Indie Games showcase and also forms part of the marketing and PR organising team. A games design student at the University of Suffolk, he has a passion for 3D modelling and for encouraging a new generation of students to take up game design. You’ll find him at many of our lecture series, our game jam series and of course, welcoming the indie developers at Game Anglia 2018. See what he’s up to on Twitter at @DragosLiche and on LinkedIn.